A family account is a Learning Lodge® account that is used to manage a family. The family account is created automatically when you register your child's KidiBuzz™, and it links the parent who creates the account to any children who have a registered KidiBuzz™. 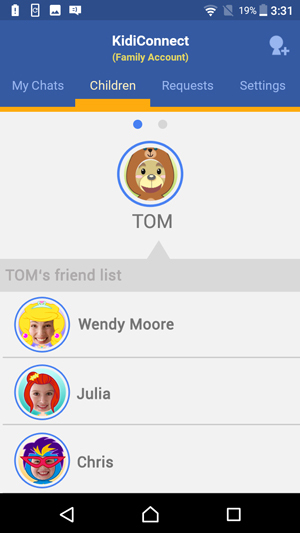 Whoever owns the family account is in charge of the child's contact list on KidiConnect™. 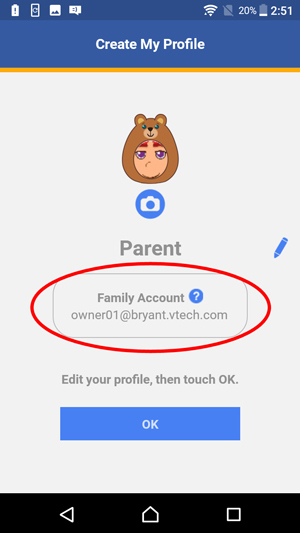 You can only view the child's contact list and approve new friends or invite new members to the family through the family account. 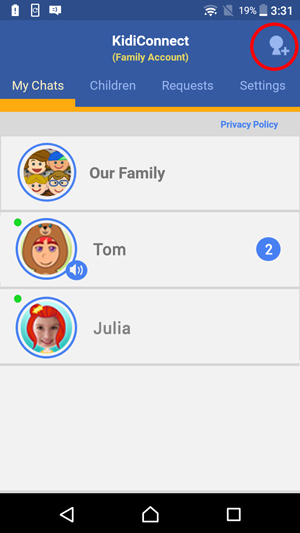 Every family account has its own group chat room in KidiConnect™ where all members of the family can chat together. You cannot create new chat rooms or delete this existing one. 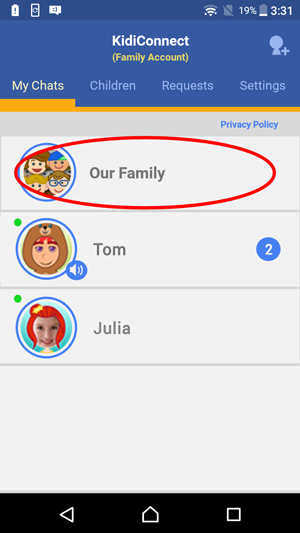 When you add a new member to your family, by default they will be added to your family's group chat room and to the contact list of your children at the same time. For more information on how to add someone to your family, see the tutorial How do I add a new member to my family?